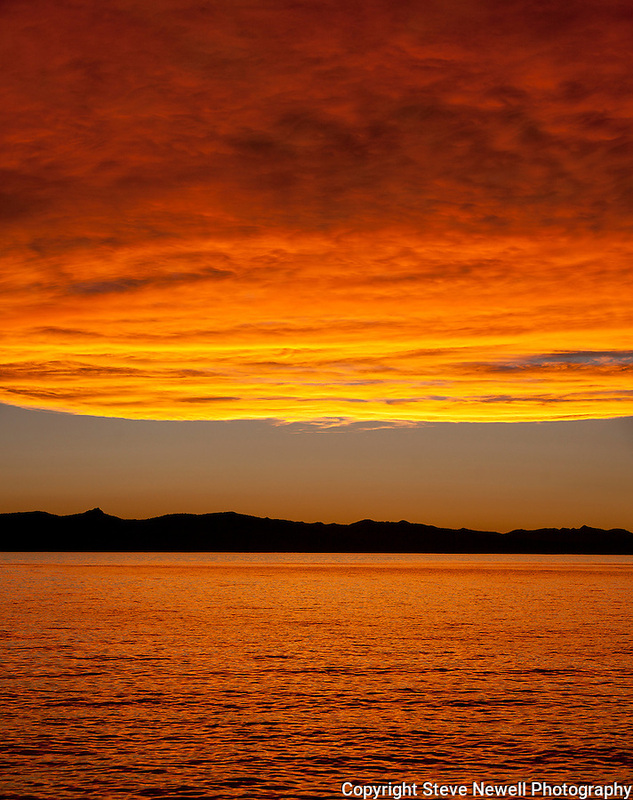 "Burning Sky" vertical Zephyr Cove Beach, Lake Tahoe. I captured this amazing sunset over Lake Tahoe from Zephyr Cove Beach located on the Nevada side of South Lake Tahoe on June 8th, 2013. That week the clouds were developing every day with the potential to be a spectacular sunset. Every night I shot from a different location in South Shore with this particular night turning into the most amazing sunset I have ever seen in my 30 years of living here. The color of the water turned completely red. Normally you have a little color on the clouds and it reflects in the water but on this night it turned the whole entire lake red like I have never seen before anywhere in the world.